RIM and NTP Back in Court | BlackBerry Blast! RIM and NTP are apparently headed back to court. Research In Motion Limited today announced that, due to an impasse in the process of finalizing a definitive licensing and settlement agreement with NTP, Inc., RIM is taking court action to enforce the binding Term Sheet agreed upon and jointly announced by RIM and NTP on March 16, 2005. In order to enforce the Term Sheet, RIM filed a motion to stay the pending appeal in the United States Court of Appeals for the Federal Circuit (CAFC) and to remand the case to the United States District Court for the Eastern District of Virginia (District Court) to enforce the settlement terms. 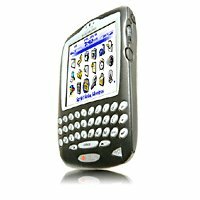 RIM is reviewing any potential accounting implications of this new development and will provide a further update when RIM reports first quarter fiscal 2006 results on June 29, 2005. RIM has already set aside the necessary funds to make the required payment stipulated in the settlement and continues to hold this cash in anticipation of resolution of this matter.